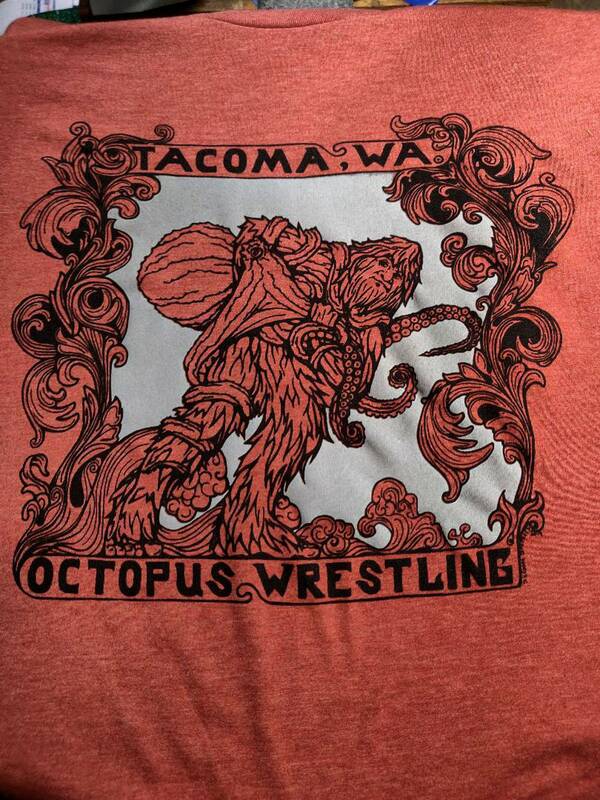 Tacoma Octopus Wrestling. Yes, this was actually a real thing! 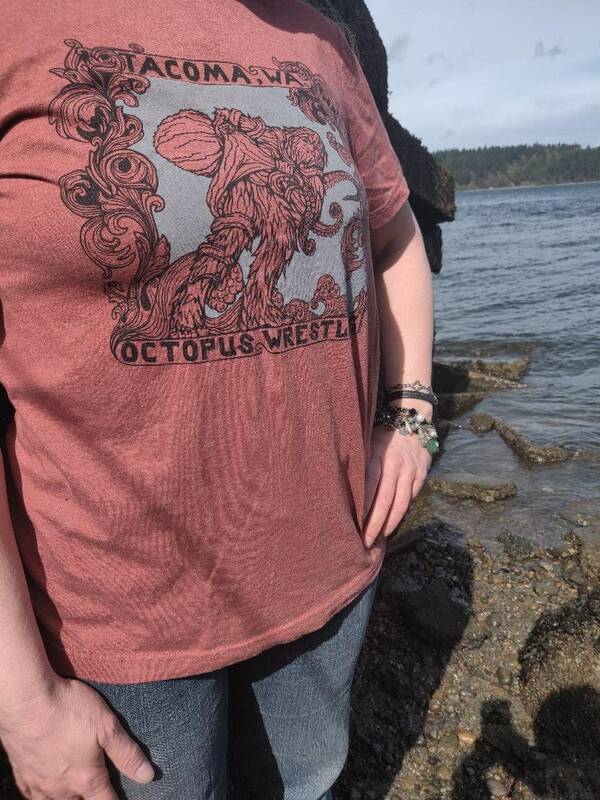 We shot these pictures in the general area where Octopus Wrestling happened. 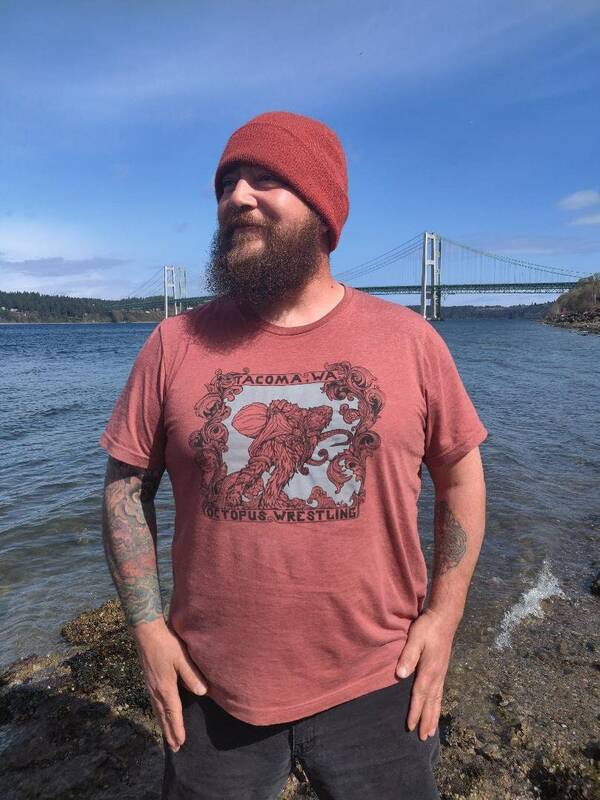 Titlow Beach. So, a team of divers, free diving or full on frog man gear, would go out into the waters to find an Octopus. The challenge was to find the largest one you could and get it back up on shore for weighing and measuring. I think it sounds much easier than it must have been and am positive it scared the Octopus near to death! No, this does not continue on into our day and time. that brings us to Sasquatch, there, doing his best. 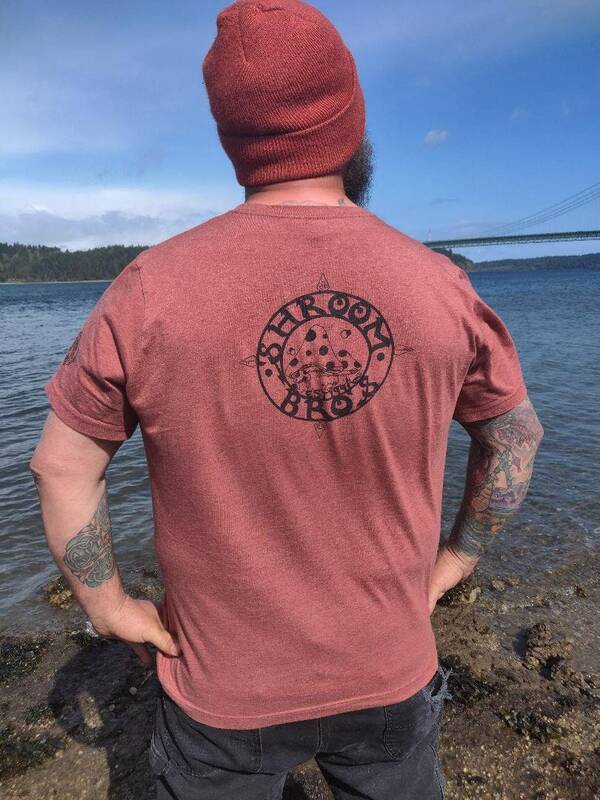 The clash of an enduring mystery and a long gone bit of Tacoma weirdness was the inspiration for this original design. 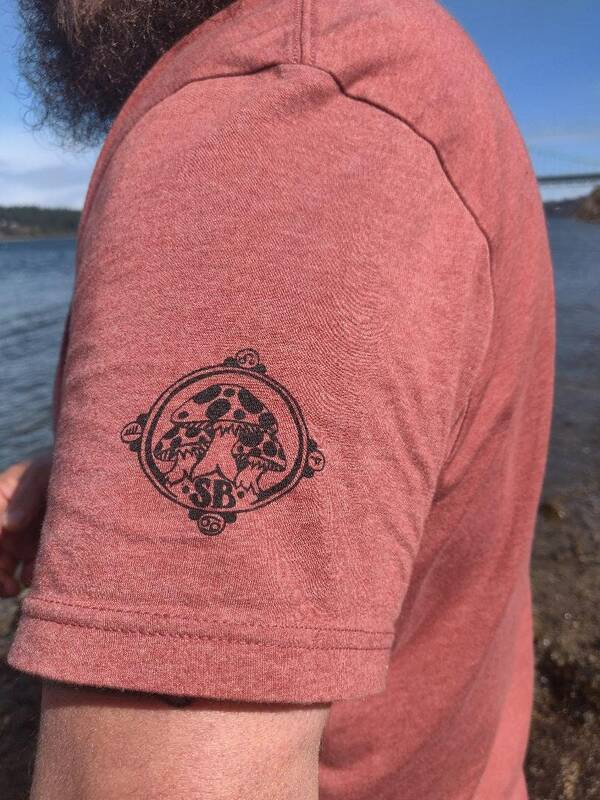 Soft tee is 52%cotton/48% poly blend. Male model is wearing an XXL, female model is wearing a large. Printed with water based inks in black and grey. comes with either the small sleeve logo or the small sleeve logo and large back logo.